Are you looking for something fun to do? 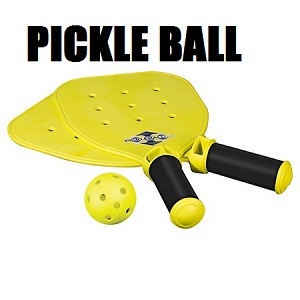 Check out pickleball! Played both indoors and outdoors on a badminton-sized court and a slightly modified tennis net. Played with a paddle and a plastic all with holes.